If you're looking for a flooring option that is not very vulnerable to water damage, you may have already gotten the idea that inorganic options are the way to go. Inorganic flooring is typically made using materials that were never plant-based. That means some form of the best type of tile flooring. Ceramic and porcelain are pretty common options for tile floors, but a third option that is getting the attention of people who want a unique look is slate floor tiling. Slate is a form of metamorphosis rock that was formed at the bottom of the sea floor. 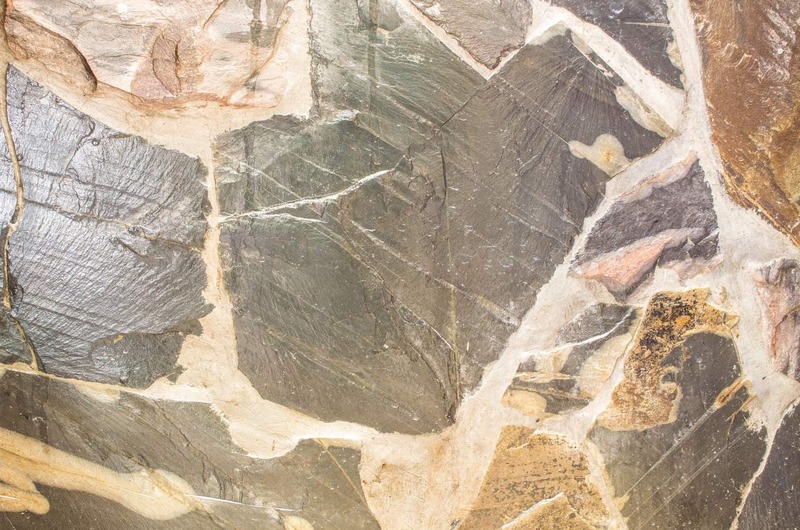 The natural process of compressing the rock under tons of water and minerals found on the bottom of the sea forms a material that is durable enough to suit most flooring purposes. Basically, there isn't much you can do to abuse this flooring material that it hasn't gone through an intensified version of already. Now you just need some ideas for what to do with it. Use as Ordinary Tiling: One of the cool parts of using slate floor tiling is that no two pieces are alike, so even if you install it as an ordinary tile floor, the tiles won't be so predictable that they're boring﻿. ​Put it in an Entryway: Slate makes a very nice contrast to an otherwise all-hardwood floor when you use it to create a short entryway near your front door. It Make a Good Border Between Flooring Types: If you need a good way to transition between tile and another type of flooring in an open concept house, a slate tile “pathway” makes a good way to do that. ​Create a Slate Pathway: Slate can work both indoors and outdoors to add a pathway to your landscaping or highlight the main thoroughfare from your front door through the rest of your house. It's pretty common to use a mix of blue and gray slate for this to create the impression of an ambling brook. 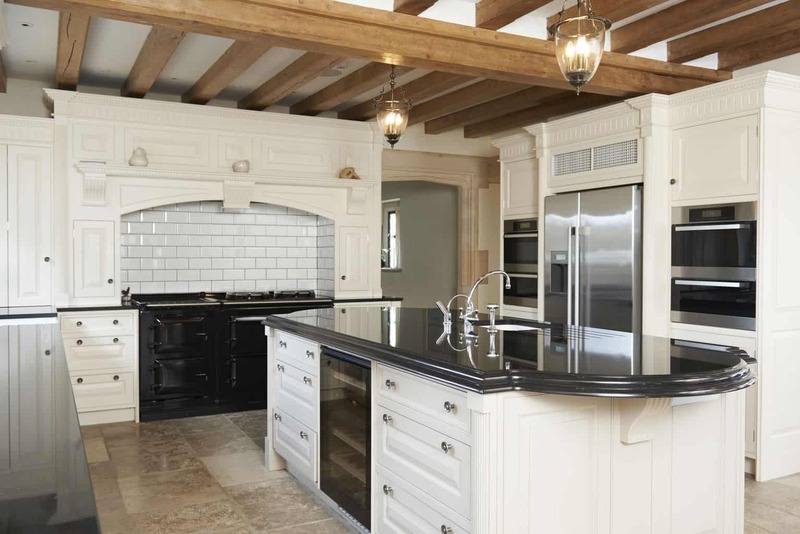 Use in a Modern Kitchen: Some people like to match smoothly polished dark gray slate with stainless steel appliances to create a modern look in their kitchen. 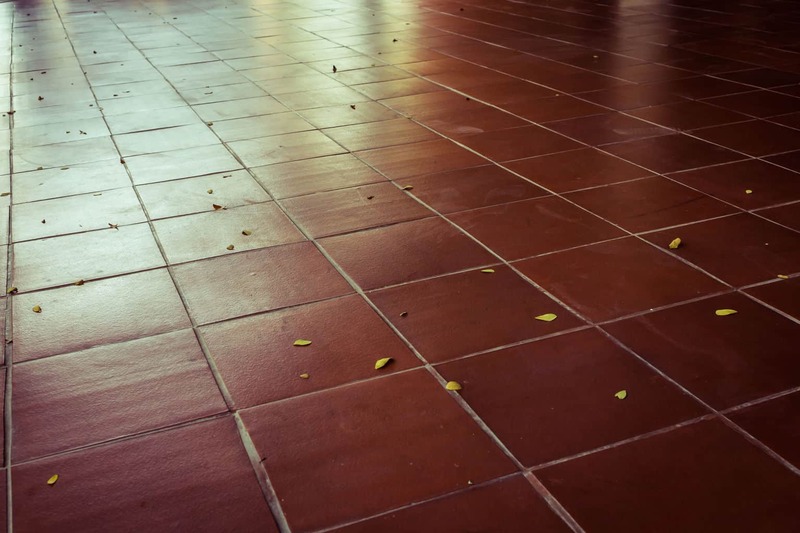 Try Irregular Shapes: We've had customers tell us that they were bored with looking at square or rectangular tiles, so we found more natural-looking rounded or irregularly shaped tiles for them. ​Create Artwork on Your Floor: If you're choosing slate tile flooring, you probably want it because it's not boring. You can add even more interest by using it to create images of dragons, rockets, or Van Gogh's Starry Night. slate is something you can really use your imagination with. Don't forget to make a rough sketch with color so you can better visualize the concept when you talk to sellers and installers. Create an Optical Illusion: If you don't mind the risk of losing your balance because the floor faked you out, you can have fun with slate by arranging it in a way that creates an optical illusion. ​Make a Big Chess or Checkers Board: One thing that board game lovers often have fun with is using tiles to make a big board for their favorite game. Then you can find some giant chess pieces and set them up in a way that draws people into the game. Use it to Create Accents: Sometimes when people install a tile floor, they like the look of slate options but don't want it on their entire floor. A slate tile design added to the ceramic tile installation can create an interesting element in your floor and break up a ceramic tile installation that might otherwise be boring. 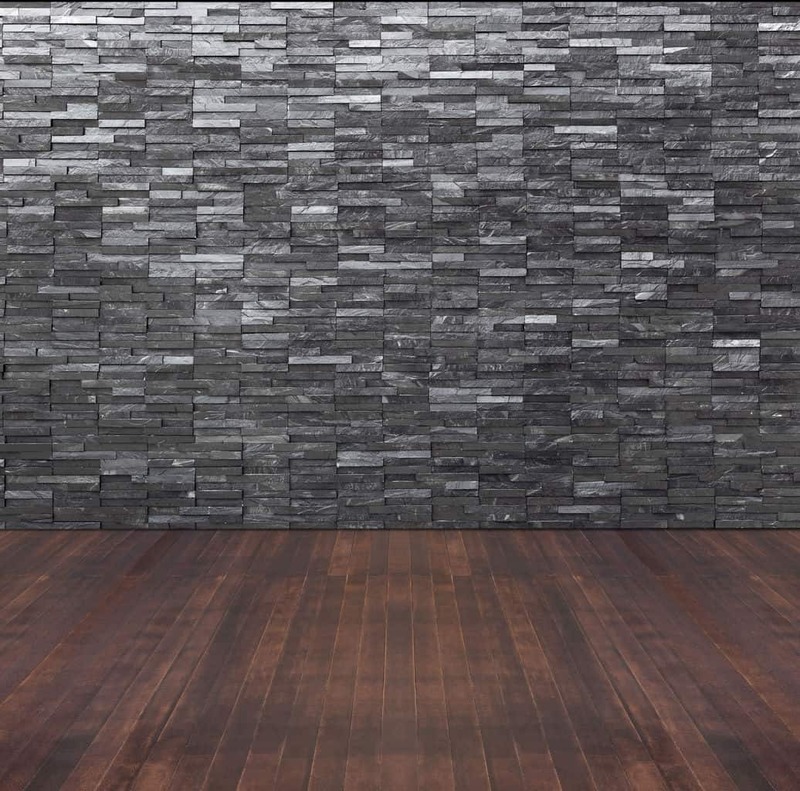 Use Slate as Part of Your Wall: Slate tile isn't limited to just flooring. We've seen some really neat slate tile walls installed in bathrooms. ​It Looks Good as Part of a Fireplace: Slate is a heat-resistant, fire-resistant and soot-resistant stone that adds an attractive appearance to your fireplace. Use it on Your Staircase: If you've just gotten tired of a carpeted staircase, it's easy enough to replace that carpet with a layer of slate tile. ​It Makes a Good Surface for Your Pool Area: If you have a deck with a swimming pool, slate can hold up as well as brick when installed on the deck. It can even be used to suggest the idea of pebbles on the beach for an aquatic theme. A Rough-Textured Slate Can do Well in Your Shower: If you worry about slipping in your shower, you might have tried one of those slip-proof mats, but you may also be thinking about replacing the surface. The rough texture of some slate options may help avoid the risk of a smooth surface that contributes to the risk of falling on a slippery surface. Brick it: Rust-colored slate can be used to create a “brick wall” pattern that could be mistaken for re﻿al bricks if you aren't looking directly at it. 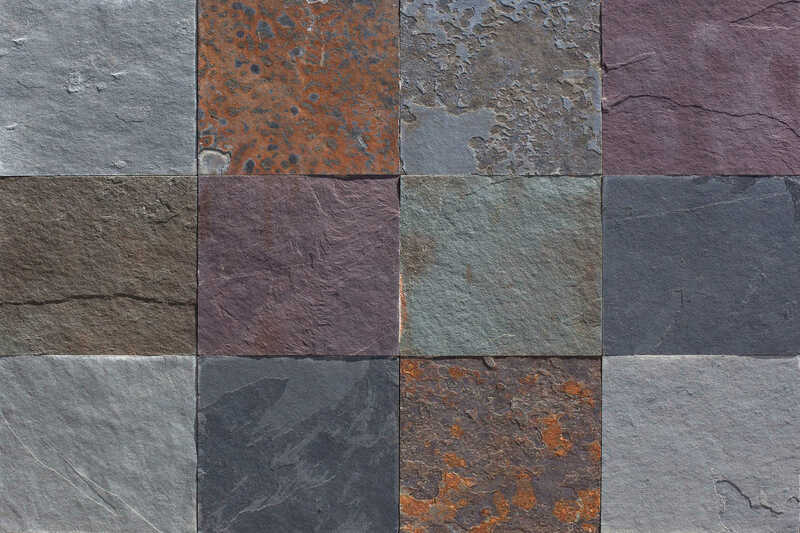 ​Go Rustic: Multicolored slate with a rough texture is available for people who like a rustic or retro look in their home. Mix & Match: The neat thing about slate tile is that you aren't stuck with just one color or design option. Sometimes people will choose the natural coloring of slate tile and contrast that by adding the occasional brightly colored ceramic tile as part of the pattern. ​Create the Illusion of Depth: Some slate flooring options use layers or texture to make the design look like it has some depth. Installing Slate Tile in More Than One Room? Create a Design that Covers Both Rooms or Use Complimentary Designs: This gives you a sense of continuity when you go from one room to the next. Because slate tile has a wide range of color and texture options, you can make choices that suit your individual taste. Be sure to make sketches of what you want beforehand. That way, not only can you show the sellers and installers what you want, but you can also get a good visualization of what it'll look like when it's installed. The most important thing when choosing and installing a slate tile floor is to have fun with it. I love tile floors. There are so many different kinds and styles, you can do almost anything you want with it. My husband and I are planning on purchasing a home in the near future and would like to change out the flooring so that it is all tile. I find that it is easier to clean and best for my allergies. Great ideas, thanks for sharing! My wife and I are remodeling our kitchen at the moment, so we’ve been looking for ideas on what to do for the kitchen floor. I like that you mention using slate tiles to make an optical illusion out of the floor. There are enough irregular shapes in the tile, so this would be a lot of fun to experiment with. Thanks for sharing! Flooring is one of the important part of your home. And there are different types of flooring materials and from that you have to select the best one. If you select the slate tile floors then it is one of the best option and mainly this type of flooring is used for kitchen. When you select the slate tile flooring then first you have decide which flooring you want to select, then select the size and shape of the material. And also decide the color of the material. And in your blog you really give the best idea for slate tile flooring and that’s really helpful to others. Slate tile flooring sure is a new addition to the growing choice of floor and wall tiles. This tile really do have quite the beneficial advantage for your flooring plus it looks natural though my concern would be. Is it easy to clean and maintain? Best!